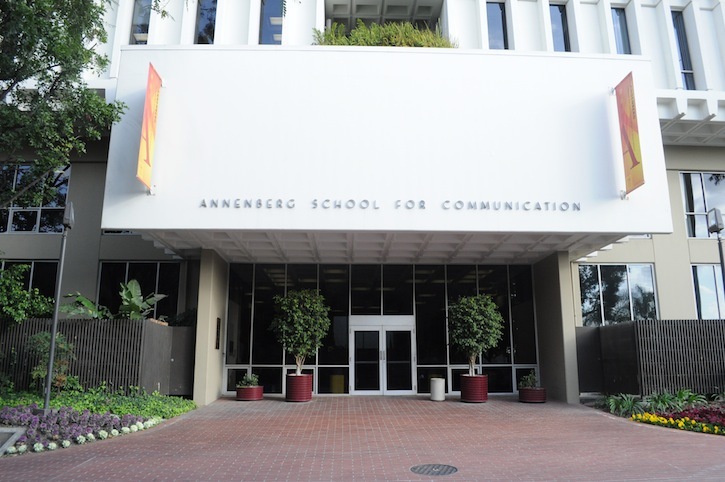 The USC Annenberg School for Communication & Journalism is composed of two separate schools, a school of communication and one of journalism. Founded in 1971, the school is part of the University of Southern California (USC). Located in Los Angeles, California, USC Annenberg is ideally positioned at one of the major pulses of the entertainment and media world. Current enrollment is 2,200, and the school employs 83 full-time members of faculty. The school remains true to its original mission statement, which reflected a view of communication that was visionary for the time. The statement recognizes the important role communication plays in every field of study and emphasizes the responsibility to be respectful of others that accompanies the right to free communication. It goes on to affirm the school’s vision of educating graduates who will be suited to be of service to others. 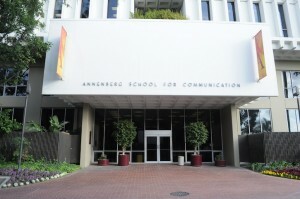 USC Annenberg has made it a point to remain on the leading edge of the field of communication. As a result of these efforts, it has become known as an important academic center in the world of communication. School of Communication students receive a full-spectrum education that equally emphasizes theory and application. USC Annenberg takes a liberal arts approach to communication education, applying principals from the social sciences to the study of the ways in which humans relate to each other. Research is not neglected at USC Annenberg, however, and studies that examine such subjects as telecommunication regulation and health communication are ongoing. The school of communication offers Bachelor of Arts degrees in communication and Master of Arts degrees in global communication, public diplomacy, communication management and strategic public relations. A Doctor of Philosophy degree is available in communication. The School of Journalism at USC Annenberg is one of the most respected in the country. Faculty members are required to have experience as journalists, and the School of Journalism numbers among its faculty Emmy winners and Golden Mike Award recipients. Students of broadcast journalism have access to up-to-the-minute equipment designed to prepare them to take their places at the leading edge of the industry. In addition, hands-on learning opportunities are available through a number of broadcast, online and print venues produced by students. Students in public relations majors have unique opportunities to learn more about their field the public relations firm, TriSight Communications, which operates within the university. The School of Journalism at USC Annenberg offers Bachelor of Arts degrees in journalism and public relations as well as Master of Arts degrees in journalism, specialized journalism and strategic public relations. Undergraduate students at USC Annenberg have the opportunity to study abroad in a number of international cities, including Amsterdam, London and Sydney. Graduate students can apply for internships abroad. A Joint master’s degree in global communication is offered in conjunction with the London School of Economics & Political Science. The University of Southern California (USC), established in 1880, is the oldest private research school in the state of California. Although the school is private, it is nonsectarian and has one of the most diverse student bodies of any university in the United States. An urban school located on a 301-acre campus, USC has an enrollment of nearly 40,000 students. In 2011, U.S. News and World Report ranked USC number 23 in the United States. USC teams, which compete in the NCAA Pacific-12 Conference, are known as the Trojans. The Trojans claim 94 NCAA team championships as well as 361 NCAA individual championships. The school holds the honor of having more Olympic gold medal winners among the ranks of student athletes, 236, than any other university in the entire world. USC’s official school colors are cardinal and gold. The school has one official mascot, Traveler VII, which is a white Andalusian. In 1961, Traveler VII’s predecessor, Traveler I, was the first horse to be the official mascot. There have been two unofficial mascots during USC’s history. The most prominent one is Tommy Trojan, which is actually a bronze statue of a Trojan warrior meant to symbolize the school’s Trojan football players, although the name was actually earned by the school’s track and field team, which made a dramatic comeback during a competition with Stanford. A second unofficial mascot is George Tirebiter, named after an actual dog from the 1940s that famously chased cars as they passed through campus on Trousdale Parkway. The dog became the unofficial mascot after biting the UCLA Bruins’ mascot. Although George Tirebiter has been gone for more than half a century, he lives on in the hearts and minds of students, and a statue was erected in his honor in 2006. Greek life became a feature of campus life at USC over a hundred years ago, with the establishment of Kappa Alpha Theta in 1887. Today, nearly a fifth of USC students are members of one of the school’s 23 fraternities or 11 sororities. Some notable events at USC have been the filming of numerous movies, including “Harold and Kumar Go to White Castle” and “The Graduate” on campus. The campus has also been featured in a large number of television shows through the years, including House, MD and CSI: New York. USC itself is featured in the video game Midnight Club: Los Angeles. I have read about your college and i am very happy about the institute, the structures and many more. I would therefore like to be part of the success story of the school.